Is ACL reconstruction surgical repair the right option for every athlete? In this article Ross Hauser, MD reviews the latest medical research that can help the patient / athlete understand their ACL pre and post surgery challenges and how treatments that include Prolotherapy, PRP and stem cells may offer surgical options and accelerated recovery. A paper published in December 2017 by Turkish physicians in the journal Acta orthopaedica et traumatologica turcica weighed in on the ACL surgery or not debate. Okay so in this study, what was the outcome? You do not need ACL reconstruction surgery to return to play. I do realize that this is a hot-button suggestion and that many people will point to professional athletes as proof of the need of an ACL reconstruction surgery. Please keep reading, there is so much more to discuss. ACL reconstruction does provide remarkable short-term knee stability. Unfortunately, the stability doesn’t last because no matter how hard the surgeons try, they can not simulate exactly the same biology pre-injury. 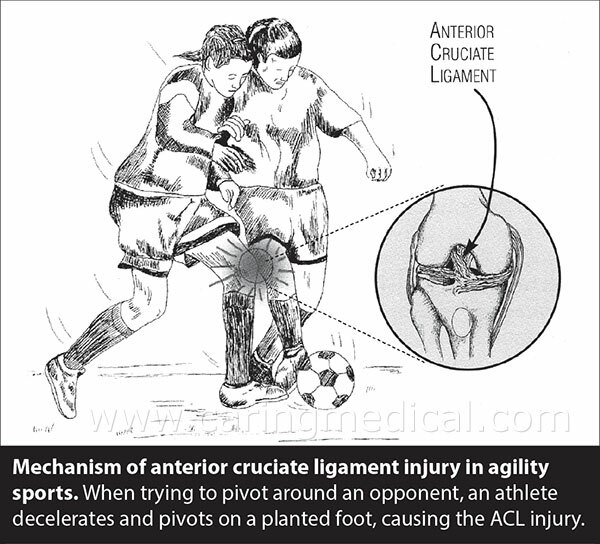 If a patient has grade 3 ligament tear, and the patient deems the ACL necessary, surgery is indicated. The cadaver or tendon graft that is replacing the torn ligament, however, will not function long-term like the original ACL. The long-term results from many studies demonstrate that untreated joint instability remains. 14% had subsequent non-ACL knee surgery. It was noted that this may be a conservative number of patients who had repeat tears, as the data only included those who underwent a second surgery, and not those who decided not to have the additional surgery. The number of patients undergoing ACL revision surgery following failure of anterior cruciate ligament reconstruction has increased. tunnel malposition (see below), untreated associated ligaments insufficiencies (see below), uncorrected lower limb malalignment, and graft fixation failures (the graph re-ruptured). Where is the role of knee instability in ACL repair? April 2018, 20 year follow up. Patients who had ACL reconstructive surgery more likely to have knee osteoarthritis than those who did not. Doctors at Erasmus University Medical Center, Rotterdam, the Netherlands looked at fifty patients who had an ACL rupture from the 1990’s. Twenty-five patients were treated nonoperatively in 1992, consisting of structured rehabilitation and lifestyle adjustments. Twenty-five were surgical treated between 1994 and 1996 with ACL reconstruction featuring a patella tendon. The patients in the nonoperative group were drawn from those who responded well to 3 months of nonoperative treatment, whereas the patients in the operative group were drawn from those who had persistent instability after 3 months of nonoperative treatment and then sent to surgery. What this research suggests is that ACL reconstruction therapy may not provide the overall knee stability needed to prevent degenerative knee disease. It makes no sense that a person is subjected to multiple surgeries when it is obvious that joint instability is the cause of the problem. Joint instability is the missing diagnosis for athletes with ACL tears, and additional surgeries, no matter how sophisticated, are not the answer to the problem of joint instability. Pain, swelling, weakness, popping, grinding, and other symptoms associated with ACL tears can be addressed not with surgery, but with Prolotherapy. We see many patients following ACL reconstruction surgery for Prolotherapy. They come in once their knee feels unstable and weak. As extensive independent research points out, the long-term results of initial ACL reconstruction demonstrate that untreated joint instability remains. After an examination, we recommend patients consider comprehensive Prolotherapy to treat the whole knee complex to help prevent need for secondary surgery and to accelerate ACL reconstruction surgery recovery time. We discuss these points further below. What are excellent results in ACL reconstruction surgery? That is hard to say. The problem is that orthopedic surgeons’ perspectives of excellent results are different than athletes’ perspectives. As mentioned above, one of the main reasons for having the ACL surgery was the ability to return to sports. For many this was not achieved. Doctors from the Karolinska Institutet in Sweden found that patients saw no real choice between operative and non-operative treatment. Athletes perceived surgery as the only way to fully return to the pre-injury level of sports, and surgery was understood as the only way to become a completely restored “functional human being”. A major source of frustration to the patients was that the progress during the ACL rehabilitation process did not match their expectations, fear of re-injury became common. 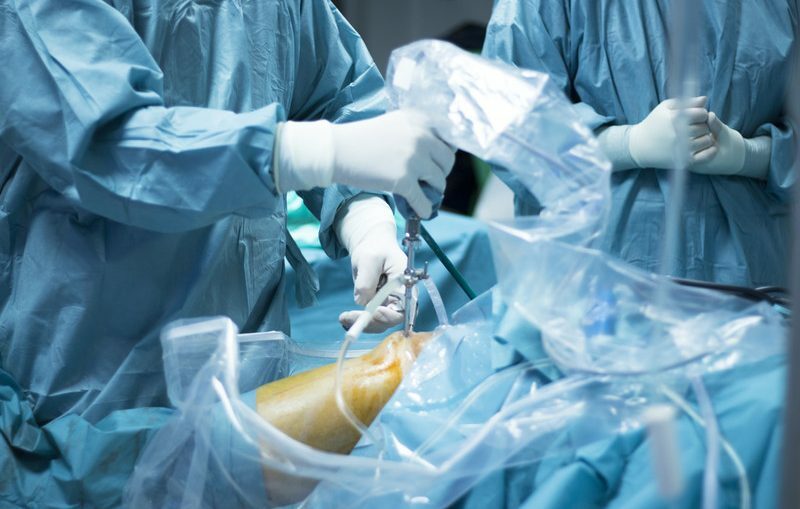 Complications and knee problems after the surgery were common. Fear of re-injury was common. Other challenges were the commitment to staying with the ACL recovery timeline and demands of physical therapy. So there is a question as to whether or not ACL reconstruction surgery is the best option. Here is a study on high school and college football players. 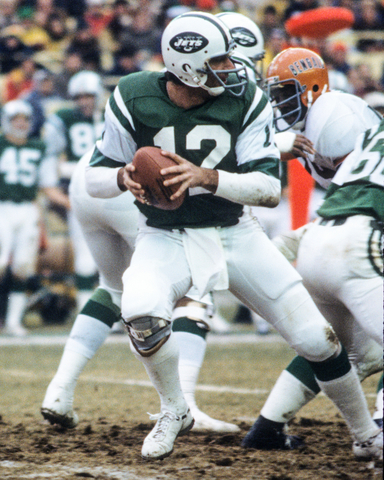 Football Hall of Famer Joe Namath is believed to have played his entire NFL career without an ACL. However the damage to his knees were legendary and resulted in knee replacements. The brace on his right knee is clearly visible. 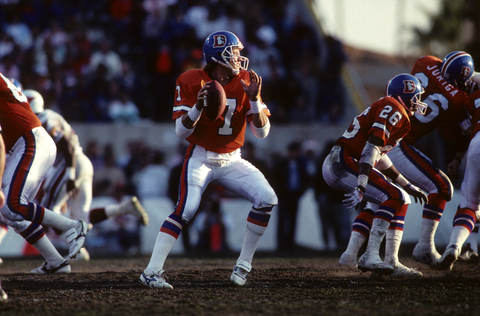 Football Hall of Famer John Elway played his entire career without an ACL in his left knee. (The one that is very bent above.) Like Namath, Elway suffered his injury at a time when ACL injuries were career-ending. This question, whether or not ACL reconstruction is the best option, was further raised by researchers at Vanderbilt University Medical Center. Doctors there noted the lack of data regarding the effect of anterior cruciate ligament reconstruction on the ability of American high school and collegiate football players to return to play at the same level of competition as before their injury or to progress to play at the next level of competition. 43% of the players were able to return to play at the same self-described performance level. 30% were unable to return to play at all. Although two thirds of players reported some “other interest” contributing to their decision not to return, at both levels of competition, fear of reinjury or further damage was cited by approximately 50% of the players who did not return to play.”(8) Results that mimic those cited above. Recently researchers in the United Kingdom put together a paper on best practices of when and type of ACL surgery to consider. Here is a summary: The aim of ACL surgery is to restore functional stability to the ACL deficient knee. ACL reconstruction can be performed using a variety of different surgical techniques as well as different graft materials. The choice of whether to operate or not relies on many factors and is highly dependent on patient’s degree of symptoms and requirements in terms of activity level and participation in pivoting sports. Many patients can become symptom-free following a course of physical therapy and rehabilitation. Timing of any ACL reconstruction is also crucial, it is commonplace to allow the acutely injured knee to settle, giving time for resolution of swelling, restoration of range of motion and recovery from of concomitant ligament injuries. (I discussed this above in regard to meniscus injury). autograft, usually consist of either hamstrings tendons or Bone-patella tendon-bone (BPTB). allograft, Allografts are varied but can consist of tibialis posterior tendon, Achilles tendon, tibialis anterior tendon, BPTB and peroneus longus tendon. Complete or a partial ACL tear, is ACL surgery is necessary? Some patients exhibit little or no symptoms when they play low-demanding sports or activities. Generally with a documented complete rupture, the patient has a choice of reconstruction surgery or non-surgical options. The non-surgical options would include first: A realistic assessment of future activities on an ACL-deficient knee. Some patients exhibit little or no symptoms when they play low-demanding sports or activities. The optimal treatment for a partial anterior cruciate ligament (ACL) tear continues to be a subject of considerable debate. 16 knees with machine measured ACL laxity were injected bimonthly with 10-25% dextrose solution (Prolotherapy) for 1 year and then an average of 4 times yearly thereafter until 3 year follow-up. 10/16 knees were no longer loose by machine measurement at time of follow-up, and symptoms were improved. Symptom of osteoarthritis improved even in those who still tested loose. At the 3 year follow-up pain with walking had improved by 43% , subjective swelling improved 63%, flexion range of motion improved by 10.5 degrees, and machine measure of ACL ligament looseness improved by 71%. Stem Cell Therapy and Prolotherapy – Non-surgical ACL reconstruction? This research suggests that one day doctors will be able to grow a new ACL in the laboratory and implant it into a knee. That is fantastic news for the people of the future but what about today? Is there a way today to non-surgically repair a damaged ACL? Do you even need to replace the ACL? What this research suggests is stem cell augmentation for the ACL graft to prevent ACL complications. 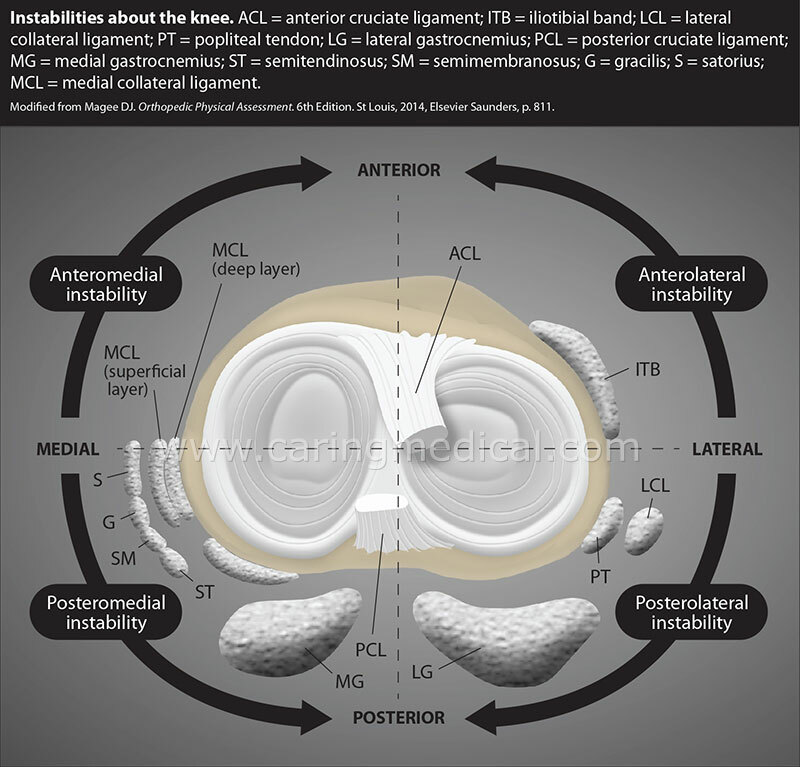 The complexity of an ACL tear – Is it full? Partial? Can it regenerate on its own in the proper circumstance? In 2009, Prolotherapy doctors led by Walter Grote MD, published a case history of an 18-year old female patient who returned to sports after a high-grade partial (possibly complete) ACL rupture. This case report, published in the medical journal International musculoskeletal medicine, documented the successful non-surgical repair of an MRI-confirmed high grade or total ACL tear in an 18 year old female with knee laxity and instability using prolotherapy and at-home exercise. After treatment, the patient regained full knee function, resumed normal activity and returned to recreational sport. Post-treatment MRI revealed a healing chronic ACL tear. These findings are notable given that surgical ACL reconstruction is the conventional treatment for ACL tears with such clinical presentation. Was the MRI of a complete ACL rupture even accurate? The inaccuracy of MRI is well documented, in this case study it could not be relied on to give an accurate reading. Please see my article on the MRI accuracy for determining the need for surgery. In this study, while MRI suggested a complete rupture, it may not have been a complete rupture. So what to do with an ACL tear? I believe the best treatment for grade 1 or grade 2 tear is Prolotherapy. If someone has a complete ACL tear they should get a consultation with a doctor who specializes in regenerative medicine to decide if surgery or non-surgical option is the way to go. If surgery is the route to take, based on the patient’s desire to return to high-level competitive sport, then after surgery, Comprehensive Prolotherapy to help provided strengthened stability to the whole knee. In other words, treat knee instability to prevent meniscus damage and degenerative meniscus disease. The box below has supportive information on our treatment methods for meniscal injury. The anterior cruciate ligament sits in front of the PCL and together the ACL and PCL keep the tibia (shin bone) from sliding too far forward and the tibia in position below the femur (thigh bone). The PCL, is the knee’s basic stabilizer and almost twice as strong as the ACL. Understanding and strengthening the PCL is an important factor in ACL injured knees. The ACL’s job is to prevent the tibia and the femur from moving excessively on each other. When it is injured or not there, it puts stress on the other ligaments to prevent this excessive motion.